We have some big news to share here at Disney Cruise Line. Actually, the word “big” hardly begins to describe it. We’re talking about news that’s more than 1,000 feet long and more than 200 feet high – multiplied by two! That’s right, Disney is again expanding its family cruise business with plans to build two new ships, each of them showcasing the immersive family entertainment, enchanting storytelling and unparalleled service that only Disney can deliver. Hope the new ships are humongous!!!! Cant wait. Please Please Please come down to Australia!!!!!!! 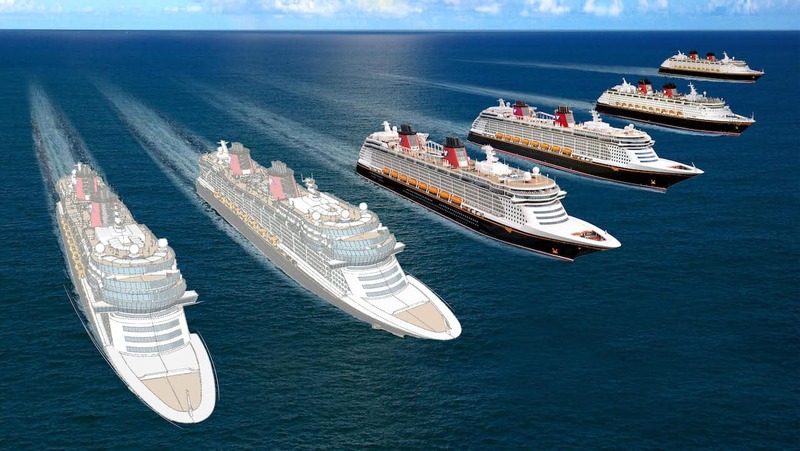 Ok…so 1250 staterooms is how many are also on the Dream and Fantasy, so the new boats won’t have more passengers that those two ships can carry. And the gross tonnage is not alot more then the Dream and Fantasy. I suspect that the extra weight will be distributed across a duck tail, like the Magic has. This is a fairly recent innovation on cruise ships and increases the efficiency and stability of the ships. I believe this extra stability will be used to offset larger pools, (i.e. more weight, on the top deck). That seems to be the number one complaint of the Disney ships, and a major selling points of other competing line’s ships. So excited , DCL is the best and congratulations to Disney. On behalf of all the 20 million families in Australia and the hundreds of millions in Asia we hope that one of theses vessels could be based in Australia . Then we can all explore nemo’s home in the luxuary of DCL together ! Met Karl Holtz, Disney Cruise Lines President in the Coffee Cove on the Dream two years ago. He was waking around the ship with a group of executives taking notes. I asked him if they were building two more ships and he said yes! Two years later it is true! 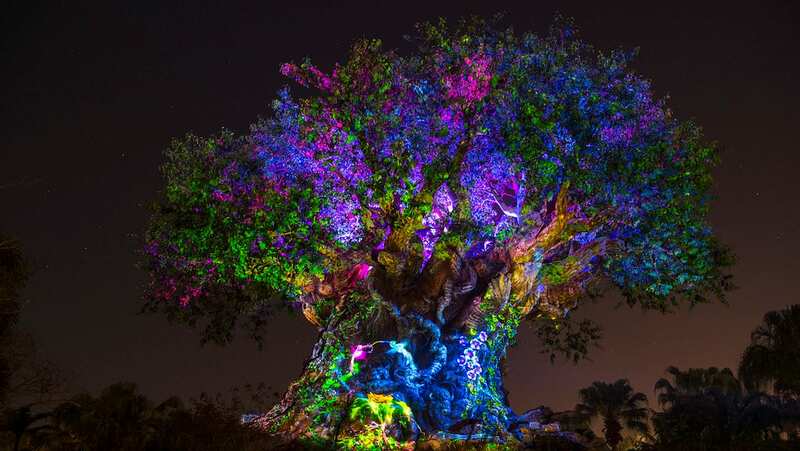 While I have been considering the Oasis for a future trip I think I will wait for these beauties to come online. Go Karl and DCL! My family and I are SUPER THRILLED and cannot wait to see ALL that Disney Imagineering will be incorporating in these two new ships. We will be counting down the years, months, weeks, days, hours, minutes, and seconds until we can board the two new Disney Cruise Line ships. In the meantime, we’ll be cruising again and again with Captain Mickey on the Magic, Wonder, Dream and Fantasy. Bon Voyage! Would love to see a history of the Disney Cruise Line! I think the first ever Disney Cruise was on a Norwegian Cruise Line ship that Disney rented and turned Disney for a while… Would be cool to see how the DCL evolved! That’s is very exciting news congratulations ! @Barbara S- over 70 cruises?? I’m so jealous. Curious though- have they all been Disney? Or have you cruised other brands? I’m going on record now I’m sure one of the new ships will be named Imagine or Imagination. I’m also interested to see who will be the ships Godmothers?? The most beautiful ships on the high seas…no body does it like Disney!! !…..Nothing I have sailed on including Celebrity or Oasis compares to the Disney Dream…..Love, Love, Love! Excited about the new ships! I hope the rooms are NOT getting any smaller. I also hope that there is specific adult areas as the other ships. Please do not make them garish. Outrageously excited about this. Would love to to be on an inaugural sailing I’ve been on 4 of the other ships. Love them all. I hope the new ships will cruise to the new Shanghai and other Asian destinations. @Sean Trzesiara – According to CMs on the island, the bugs are so bad at night that they are not considering a resort. Can’t wait for them to get here…just in time for my retirement in 2021….will love cruising with kids and grandkids. Can’t wait to try and get on the maden cruise, hard to believe but I’m sure they will find a way to outdo the fantastic job they already do! The ships will be too big. Too many passengers take away from the experience. What they really needed was something between the Magic and the Dream class. If I want to sail on a Mega ship I would go on the Oasis. I knew this was coming! Hopefully with the larger ship, they’ll find a way to put the lazy river on deck that they were trying for when the aqua duck was born! I hope they plan to port on west coast. OMG so greaaaaat! We are awaiting our first one this Spring! We have a countdown and the kids are very excited! I’m sure as people tell us, this will not be our last! And now 2 more reasons! Commodore Tom on the Disney Fantasy told us last week on our Fantasy sailing (Star Wars) that the new ships were being considered. He did hint that one will be based for Australia/New Zealand sailings and possibly Asia and it will be based in the Pacific. Actually our stateroom attendant told us two years ago that a ship sailing in and around Asia was rumored to be in the near future. Looks like it’s really happening! At least one ship would be based on the other side of the world which if you live in the U.S. you might not want to fly that long to take…LOL. Exciting just the same! @Cris Castaway Cay felt a bit crowded when I tried the Pelican Point side on a full Dream sailing. The closer family beach has always been wonderful. (First stop on the tram… can’t recall the name). And I haven’t been to the adult side since I had kids (I have two little ones). As I said, I’m super excited either way! @Shannon, I didn’t think Castaway Cay was crowded at all when we stopped there on the Dream in Dec 2013. The article says these ships will be slightly bigger. Seems to me, Castaway should be able to handle a slight increase but of course if you are at the most popular attractions on the island, it will seem more crowded. My kids & I rented bicycles & practically had the trail to ourselves. It was one of our favorite things we did. I’m dreaming a bit bigger today! I can’t wait!! or can i say We can’t wait. We love DCL. so excited. I Wonder if this is a Dream or Fantasy or maybe they’ll add lots of Magic to the new ships. keep us posted. what they need to do is build a resort on Castaway Cay. You sail down on one of the ships stay and sail back. That place would be booked out for years lol. Does this mean that you will extend the ports to Australia and New Zealand? I would love for you to operate one from Portsmouth or Southampton in the UK! I am overjoyed with this news, but I am kinda bummed out that it will not happen until 2021 & 2023. Why is it going to take so long.?? I love it! More ships, more choices. I look forward to whatever DCL dreams up for us. OMG!!!! I’m sooooo excited about the good news. I can’t wait to see and hear where will the new ships will go to. And of course CAN’T wait to go on a cruise in them!!!!! ????? It’s exciting, but also a shame that they will be bigger than the Dream and Fantasy. Something between the Magic and the Dream in size would have been good. I much prefer the smaller ships (Magic and Wonder) and I worry that adding 2 more big, fancy ships will take away stops for the Magic and Wonder at my very favorite place, Castaway Cay. Please bring back Hawaii. My first Disney Cruise was great but cut short. My grandkids say we have to do another because I need to experience a full cruise. Theres also no guarantee these will be going to Castaway Cay or if what is currently going to Castaway Cay will be replaced with these and they will find a new home port. There are more than enough ports of call around the world to house these ships and more. These will just increase your options and locations. Truly look forward to seeing these new ships! Exciting. Can’t wait to find out the names. AWESOME! My clients will be as exited as I am. This is wonderful news! Its about time. I was told this last December. Hopefully I’ll be around to do the maidens and keep the tradition going but also hope I am past the 100 cruises mark by them. Going on #71 in April so who knows, even have up to #76 booked. This just made my day. Thanks for posting! This is so exciting. But how does the size compare to other ships? I wonder about the crowd at Castaway Cay… but either way, am thrilled for the DCL expansion!